A slogan / rallying cry used by John F. Kennedy, originating in a June 1960 speech he made while accepting the Democratic Party nomination for the 1960 U.S. presidential election. 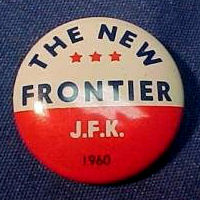 In the speech, "the New Frontier" referred to the various challenges facing America in the new decade, but over time the phrase became synonymous with the Kennedy election campaign and his administration's policies. To illustrate this, here's a sample line from the speech: "We stand today on the edge of a New Frontier, the Frontier of the 1960s, a Frontier of unknown opportunities and perils, a Frontier of unfilled hopes and threats." 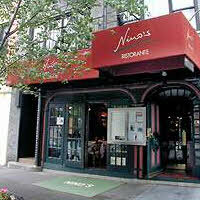 Upscale Italian restaurant in New York, located on the Upper East Side of Manhattan (on First Avenue between 72nd and 73rd Streets). Named after owner Nino Selimaj, the restaurant is famed for its excellent Northern Italian cuisine, nightly live entertainment and is apparently a favourite haunt of celebrities. A poisonous evergreen shrub (Latin name Nerium oleander) with fragrant white, pink or red flowers and narrow, leathery leaves. 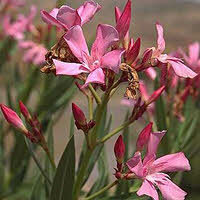 Originated in the Mediterranean, but is now in common use as an ornamental plant in gardens around the world. A liquor store (or "off-licence" in British parlance), i.e. a shop which sells alcoholic beverages for consumption elsewhere. 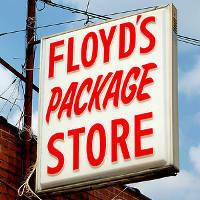 The slang term originates from the US state laws of Connecticut and Georgia, which declare that purchased liquor must be in a sealed container and/or removed from the premises in a bag or other "package". 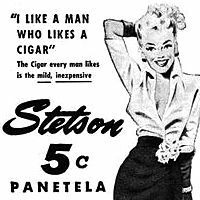 A panatela (sometimes spelled "panetela") is a long, slender, straight-sided cigar. In order to be classed as a panatela, a cigar must be between 5 and 7½ inches long (approx 12.5cm to 19cm), and between 34/64 and 38/64 inches in diameter (13.5mm to 15mm). The song lyric is allegedly a reference to voodoo deity Baron Samedi, usually depicted as a cigar-smoking skeleton wearing sunglasses and a top hat (see derby hat). 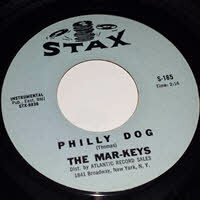 A 1966 dance craze, referenced in several songs of the time including "Philly Dog" by The Mar-Keys, "Teach me the Philly Dog" by The Manhattans, and "Baby Do the Philly Dog" by The Olympics. None of those songs were big hits at the time (although the Olympics' song found some cult success later in England's "Northern Soul" scene of the 1970s) and so the Philly Dog didn't reach the level of mainstream success of other dance crazes like the Twist or the Mashed Potato. However, it was successful enough to inspire some spin-off dances of its own, namely the Philly Freeze and the Philly Barracuda. 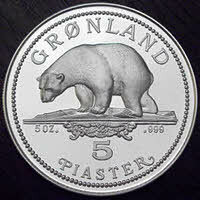 Piaster (also spelled piastre or piastra) is the name for several past & present currencies. Originally, the piaster was a 16th century silver coin equivalent to the Spanish dollar (better known as a "piece of eight"). Its name came from the Italian word piastra, meaning "thin metal plate". Piaster is also the name of the fractional currency used by several countries today, including Egypt, Lebanon, Libya, Sudan and Syria. 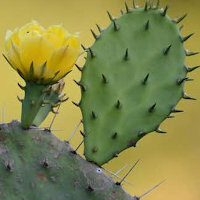 Known as nopales in Spanish, technically speaking prickly pears can refer to any cacti from the genus Opuntia. Typically they have yellow flowers and flat spiny joints, usually studded with tubercles bearing spines or prickly hairs. They are also edible (minus the spines of course!) although despite the name, they don't taste like pear, but have a somewhat tart flavour that has been described as similar to green beans or asparagus.